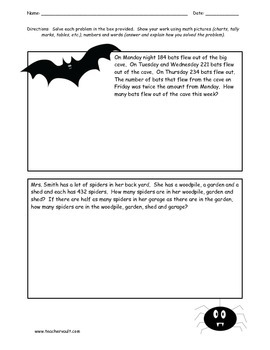 These multi-step word problems include space for students to show their work. I always suggest using pictures, numbers and words. However, students need to understand that what they draw needs to help others understand their thinking or help them solve the problem. I also teach students to answer the question in a complete sentence and then explain how they solved the problem.